We are SUPER EXCITED to announce our March Knit A Long. Our project is the Inspira Cowl a free pattern on Ravelry by Graphica using Amitola by Louisa Harding. The long, ombre shading of Amitola is perfect for the color work involved in this project. 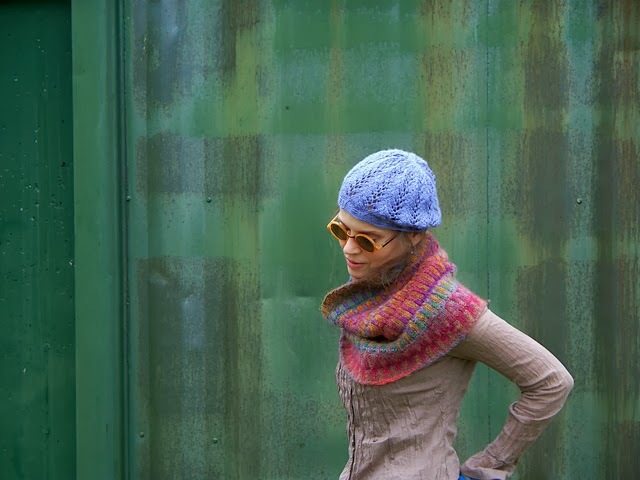 The Inspira Cowl uses long color repeats and stranded knitting technique in a corrugated rib where two different colored yarns are used to create a staggered pattern. This project is worked in the round on circular needles. We choose to knit the Steampunk version using size US 7 needles or whatever size needle is needed to get gauge of 27 sts x 30 rows = 4 inches. 544 yards/498 meters total of 2 repeat color ways. Main color approx. 332 yards and contrasting color 212 yards. Projects on Ravelry using Amitola used 2 skeins of the main color and 1 cc. 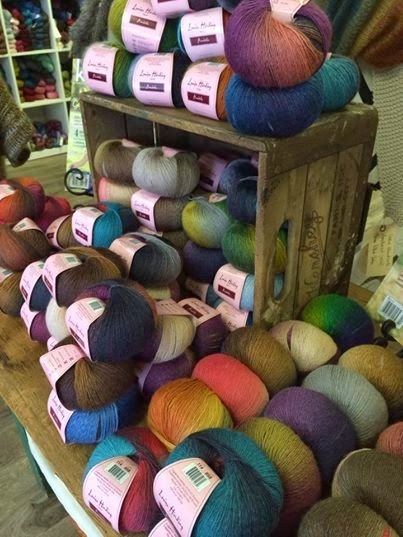 You can purchase the yarn for the Knit a Long here.